The congenital weaknesses of lead-acid battery such as short service life, low energy conversion efficiency and low specific energy were never solved, especially the environmental pollution caused by waste batteries has always bothered the personnel of the industry and environmental protection departments, and solving the pollution problem of lead-acid batteries has become a worldwide focus. To prolong the service life of lead-acid batteries and recover the early failure battery capacity, the experts in the industry have done a lot of research work in recent years. The traditional methods of maintaining batteries are high current charging technology and adding chemical liquids to activate batteries, which have greater applications risks and result in environmental pollution. 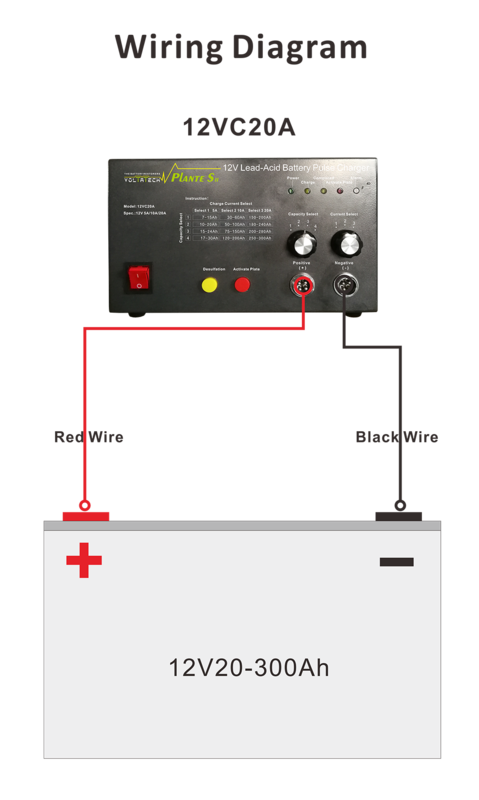 Our 12V Battery Digital Pusle Charger 12VC300Ah is a state-of-the-art Battery Smart Charger, also we can call it Battery Maintenance Charger with desulpation pulse which automatically knows what to do. Unlike other popular common chargers on the market, you don`t need to select the battery type or the proper charge current rate for your battery. It is smartly measure the battery`s voltage and current to automatically determine and deliver the precise charge rate based on the size and condition of the individual battery. As Battery Smart Optimizer its optimized pulsing waveform constantly works to minimize and reduce naturally occurring battery sulfation which can maintain the battery at peak conditions. This is a perfect multi-functional and multistage charger that you have to choose. All of Lead Acid Battery Capacity from 12V20Ah~200Ah(AGM, GEL, VRLA, Flooded, Traction, Deep cycle and Stationary). Adopt multi-stage constant current pulse charging mode. When starting charging, it charges the power battery quickly through a large duty cycle, and when the charging battery voltage is close to producing gas stage, smartly reduce the pulse charging current step-wise gradually. Looking for ideal Auto Battery Charger Manufacturer & supplier ? We have a wide selection at great prices to help you get creative. All the Battery Pulse Charging Maintainer are quality guaranteed. We are China Origin Factory of Battery Smart Optimizer. If you have any question, please feel free to contact us.